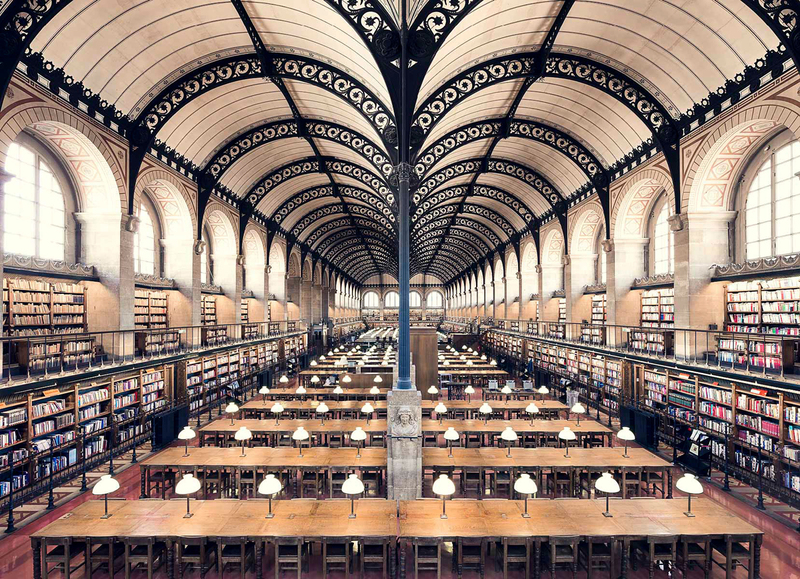 “Reading is solitude,” Italo Calvino once said, embodying the inspiration behind this series. 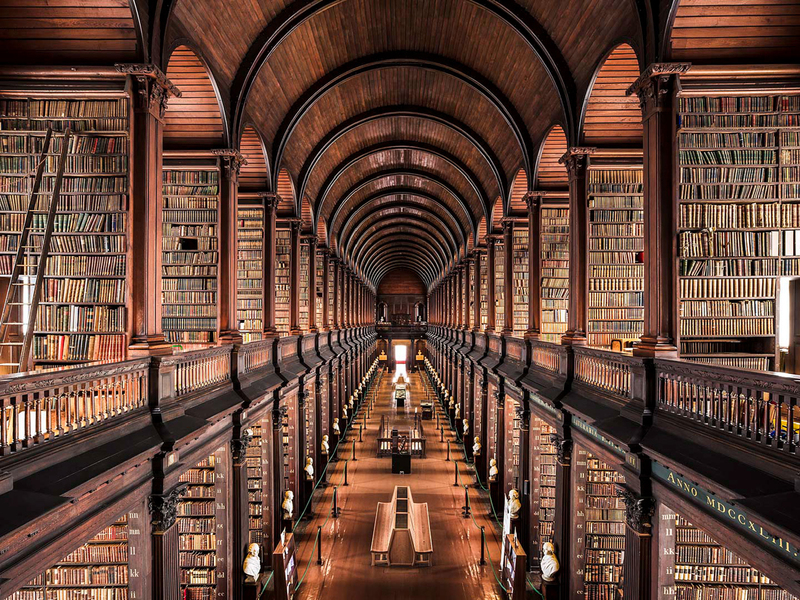 These temples of cultural worship gather communities, and yet the literary experience, and therefore the experience of a library, remains solitary. 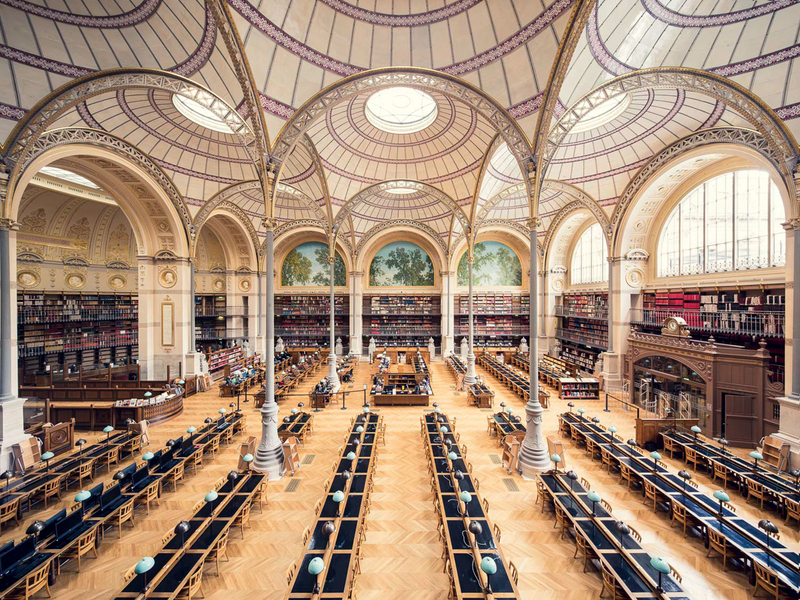 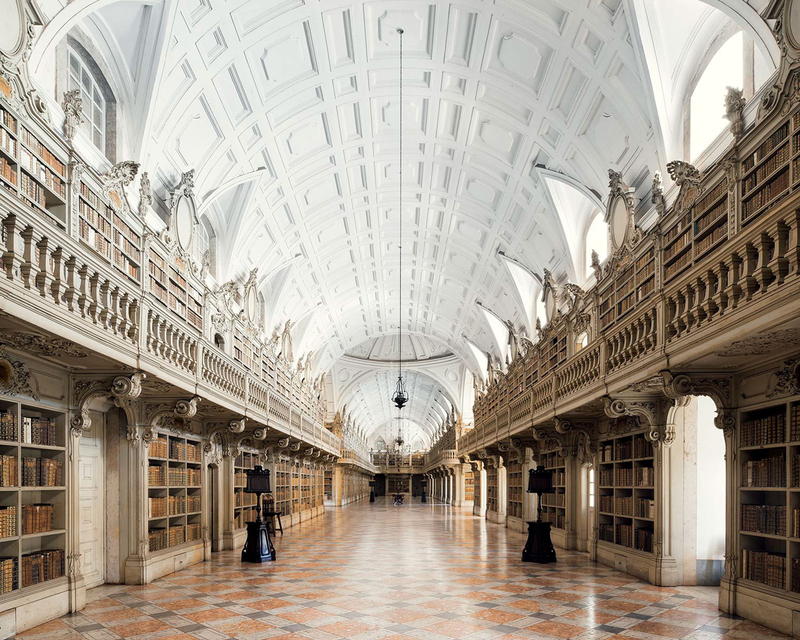 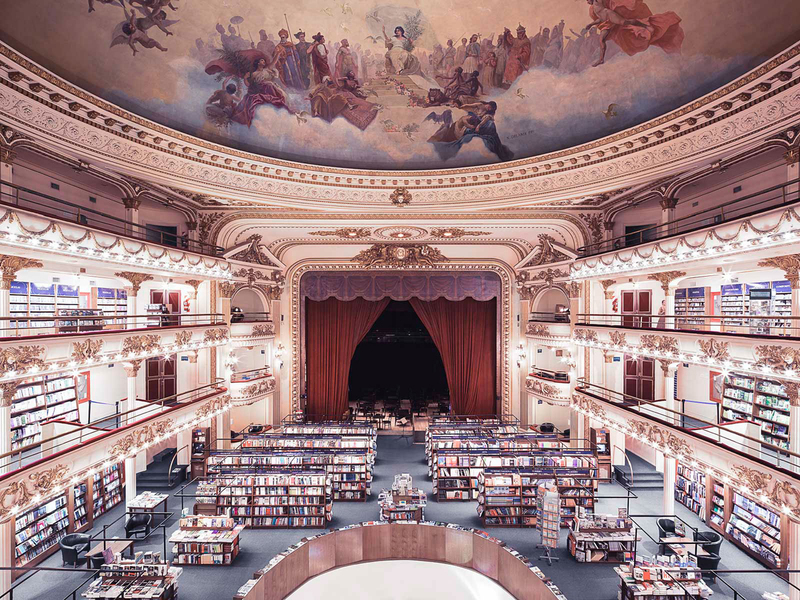 It is with an eye towards this improbable bled of public space and private experience that Thibaud Poirier displays some of the finest libraries, both classical and modern, across Europe. 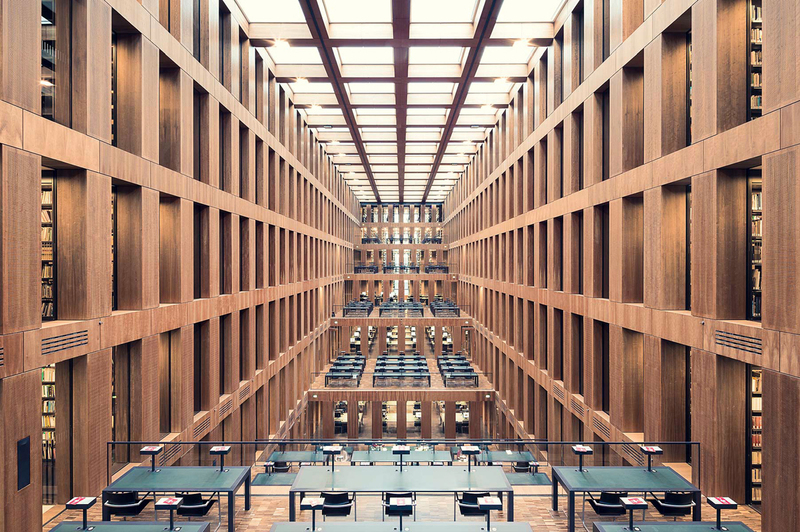 Poirier’s perspective pays homage to the personal touches and interpretations of literature that these architects brought to each library. 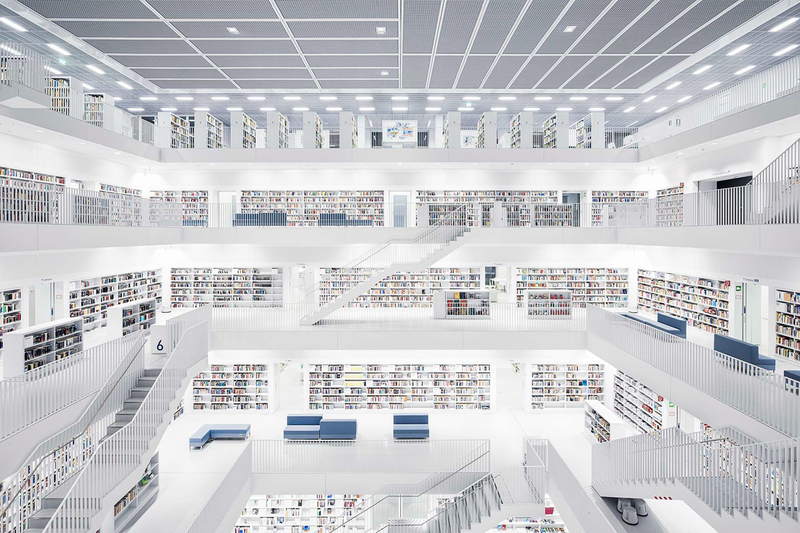 Like fingerprints, each architect crafted his vision for a new space for this sacred self-exploration. 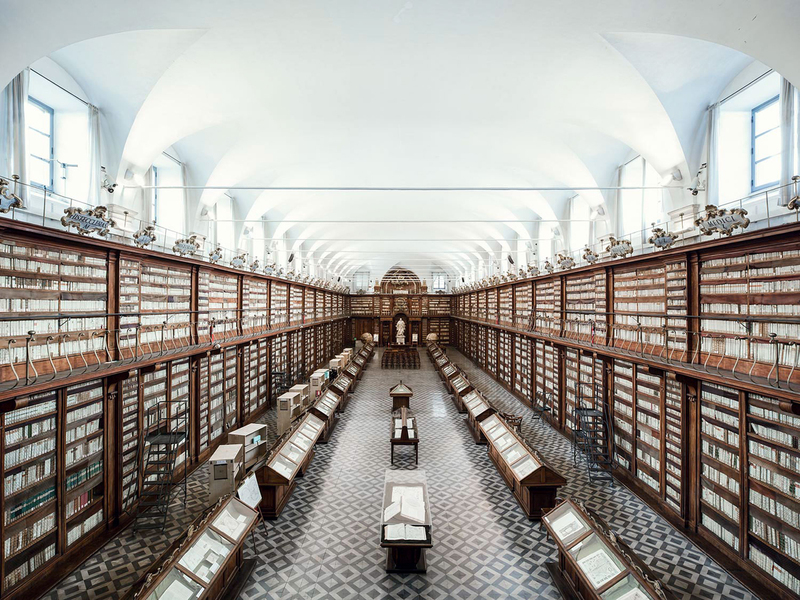 These seemingly minute details are everywhere, from the balance of natural and artificial light to optimise reading yet preserve ancient texts to the selective use of studying tables to either foster community or encourage lonely reflection. 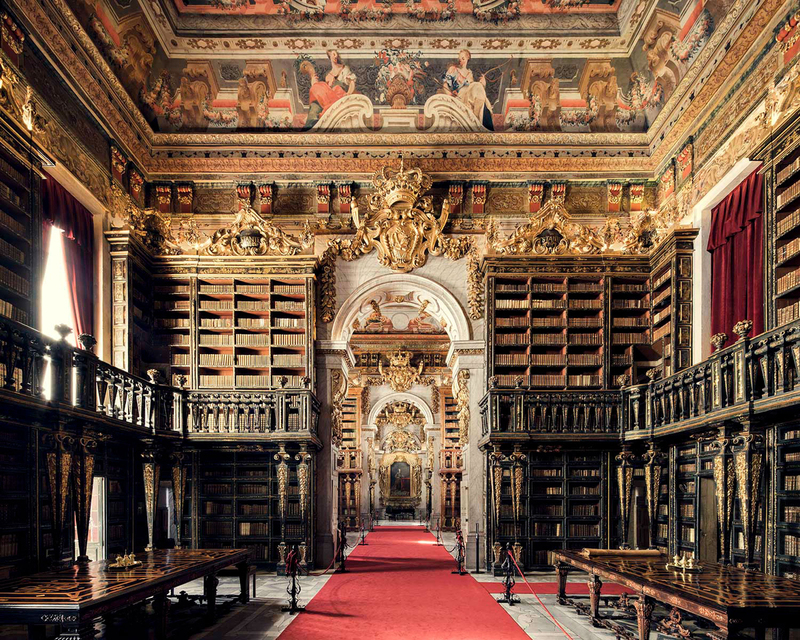 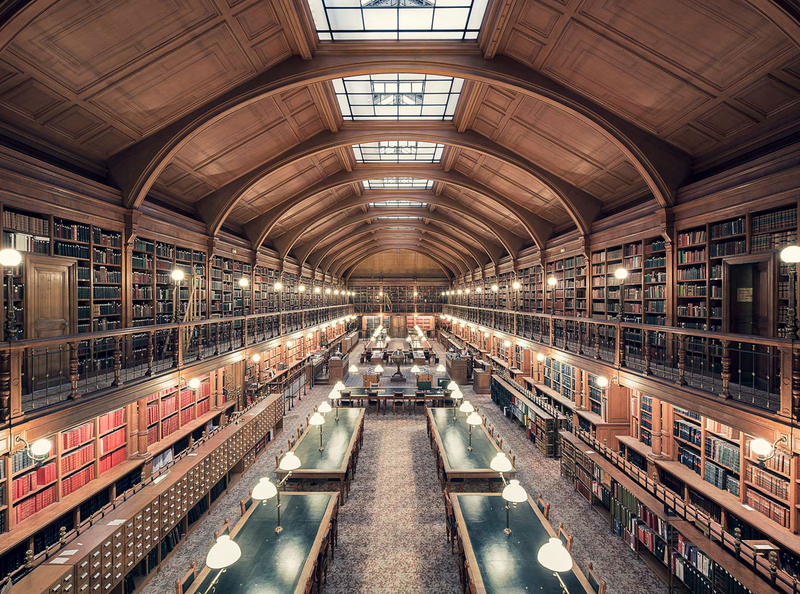 The selection of these libraries that span space, time, style and cultures were carefully selected for each one’s unique ambiance and architectural contribution. 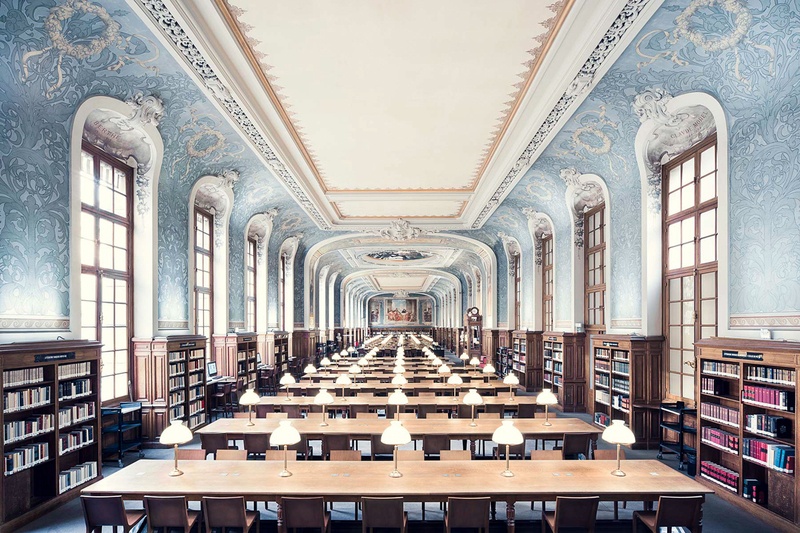 This is reflected in Poirier’s tasteful use of symmetry to highlight classical values of beauty, and the strong visual interpretation of the solitude that one feels when immersed in reading.